Home > Blog > As A Follower of Christ Jesus, How Do I Make Sense of It All? Listened to the news lately? Just recently I turned on the news and was bombarded with a plethora of newscasts speaking of the possibility of high school children being allowed to use the bathrooms of either gender in accordance with what gender they believed they were, not what gender they are. The state of California, the legislators, especially a couple of senators from the city of San Francisco, put forth another law that stated a therapist could not council a minor who had unwanted same gender attractions. The law is currently under appeal. In state after state, legislators are caving in to an unseen political pressure passing laws allowing people of the same gender to marry each other. In states such as California, the state government refuses to enforce the vote of the people which was not to allow same gender marriages. The United States Attorney General refuses to defend the law of the country in regards to the Defense of Marriage Act going to the Supreme Court. Yes, the Attorney General disagrees with the law of the land and so he decided he was not going to enforce it. College athletics and pro football players are being applauded for “coming out of the closet”. The United States military is no longer enforcing the military code of justice on the matter of same gender coupling. Even Christian song writers are coming out and identifying as gay or lesbian. Worse yet, more and more churches are sanctifying gay marriages. Television show abound in which at least one character identifies as gay or lesbian. Homosexuality is being normalized even though we know God’s word states that the homosexual act is against His created design. That is what God’s word says or does it? The strategy of the gay movement is succeeding in that people are starting to doubt the word of God. Christians who provide services for weddings such as wedding planners, florists, caterers, and bakeries are being sued if they refuse to take a client who i wanting a gay marriage. President Obama actually switched his position for the 2012 election and became the first president to support gay marriage. The umbrella organization of Christian ministries to those who are affected by homosexuality closed their doors after some 40 years of helping folks come out of unwanted homosexuality. The head of the umbrella organization stated on nationwide television that he did not believe people could come out of their homosexuality, yet he himself changed and he is now married to a women. Those of us who have come out of homosexuality, myself included, are looked upon by the gay community as though we do not exist. If we exist and what we say is true, which it is, then people are not born gay and therefore special rights (the equality movement) and all that is written above would not be happening. Yet for some reason no one wants to believe that people are not born gay. No one wants to believe that through a personal relationship with Christ Jesus your same gender attractions can and will and do go away. Pastors, church leaders, and the laity are not able to even catch their breath as this movement of sexual confusion continues to plow forward like an out of control locomotive. This is where we as the family of God can apply 2 Corinthians 2. God has brought comfort to many of us who at one time came out of homosexuality. God is using us to comfort others as they go through the affects of homosexuality. The body of Christ will comfort those who struggle with those of us who had struggled and were freed from the affects of homosexuality. There is no confusion in God’s word and there is not confusion in those whom He has healed and freed out of the captivity of homosexuality. 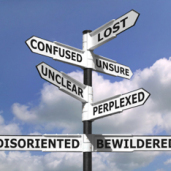 We have training seminars available on how the church can react in love to this current world of confusion. What location and venue would you like Bridging the Gaps Ministries to speak at? What questions or topics are you interested in having Bridging the Gaps Ministries speak about at your organization? Are you looking for speaking engagements during a specific time frame? Please list approximate months/dates/times if possible. Interested in receiving regular prayer requests for this ministry?